7 Days from USD 1350. Arrive Chennai. Transfer to Mamallapuram. Check into the Fishermen's Cove beach resort. On arrival, as you step into the hotel, ladies in authentic local costumes greet you with garlands of flowers and perform the "aarti" ceremony. They also anoint your forehead with the traditional red "tikka." Afterwards relax with a non-alcoholic welcome drink. Post lunch tour of the 7th century Pallava cave temples and monoliths, stone temples and sculptured rock panels. Malabar MasalaLater visit to "Dakshina Chitra", set on a ten- acre site, overlooking the Bay of Bengal between Chennai and Mahabalipuram, the 7th century sea port. 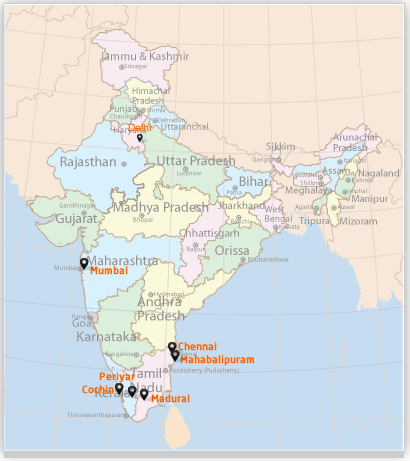 The center comprises four sections which represent the distinct cultures of the southern states of Kerala, Tamil Nadu, Karnataka and Andhra Pradesh. This is achieved through authentic reconstructions of traditional architecture, demonstrations by artisans at work, exhibitions and workshops, programmers by performing artists, an archive, a craft shop, and a restaurant which offers regional fare. The Tamil Nadu section has a charming exhibition on Tamil culture. 150 yr old agriculturist's' house from the fertile delta region of Thanjavur, a potter's house from Tiruvallur with its terracotta exhibition. Step into the humble abode and thatched huts of the basket-weavers, and on to the shrine of Ayyanar, the village guardian deity. The weaver's house from Kanchipuram, the famed silk-town of India, is the next stop. 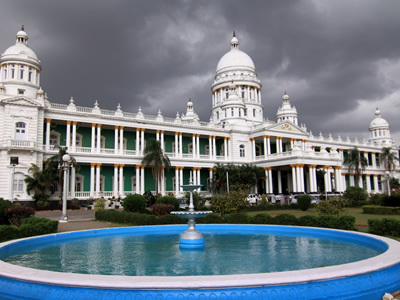 An exhibition hall with displays of Tamil Nadu textiles, is annexed to this house. Other exhibits on Tamil culture, folk and classical craft, kitchen utensils, demonstrations of artisans at work in their traditional environments, also form part of the experience. 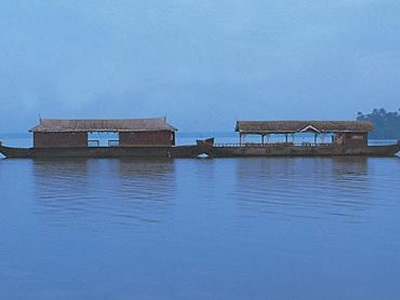 The Kerala section has reconstructions of domestic architecture in the distinct styles of north and south Kerala. A 200 yr. old wooden Hindu house from Travancore, a Syrian Christian house from Kottayam and a double-storeyed Hindu house from Calicut. These houses also have contextual exhibits displayed in them. Overnight Mamallapuram. Morning drive to Kanchipuram, the erstwhile capital of the Pallavas Mahabalipuram Temple, South India Temple Tourand Cholas. \'i5it its numerous temples dedicated to various Gods and Goddesses. It is also home to the weavers of the famed Kanchipuram silks. Arrive Chennai in the afternoon. Check into hotel. Evening tour of Fort St.George, St.Mary's church, the oldest Anglican church east of the Suez and the Basilica of San Thomas, believed to have been built by St. Thomas, the apostle. Also visit the Snake Park and the Parthasarathy temple. 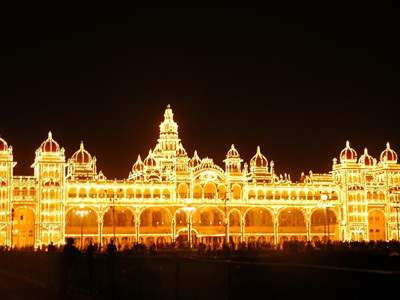 Evening view the traditional martial arts performance believed to have originated in South India. "Kalaripayatu" ,a local traditional martial arts form which derives its name from "Kalari" (gymnasia) in which this martial arts form was first practiced. The performance includes various authentic forms of armed and unarmed combat. Next follows "Silambam" the ancient art of staff fencing believed to be originated by the body guards of the Tamil kings which has now developed into a refined art form of self-defense and physical exercise which make for a brilliant spectacle. Overnight Chennai. Morning flight to Madurai. Transfer to your hotel. 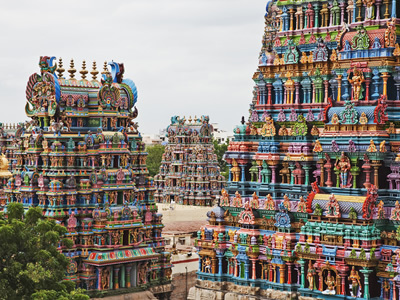 Later proceed on city tour visiting the temples which are a city within a city built in the Dravidian style, one for Shiva and other for spouse Meenakashi. Also visit Teepa Kulu, a tank with an island temple. Evening relish the glimpses of Indian classical dance performances over a sumptuous south indian dinner. Bharat Natyam, considered the oldest form of classical dance. in lndia,is essentially a highly stylized solo feminine dance which combines movement,music and mime with "nritta" and "nritya", on the theme of spiritual love. Kathakali, originating from Kerala,in which the dancers appear rather strange and exaggerated with the highly elaborate make-up in green ,red and white,with styled beards made of rice paste and head dress giving the expression of a mask. 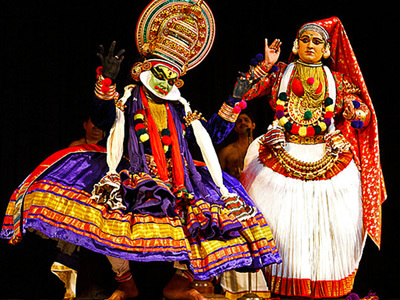 Mohinlyattam , a secular dance of an enchantress with combined elements of both Kathakali and Bharatnatyam. A typical Udipi meal served on green plantain leaf rounds off an enchanting evening.Overnight Madurai. Proceed by road to Periyar. 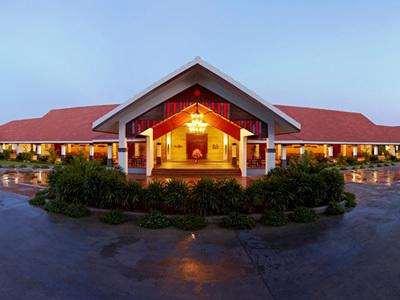 Check into Spice Village, a beautiful resort situated amongst spice gardens and pepper vines. 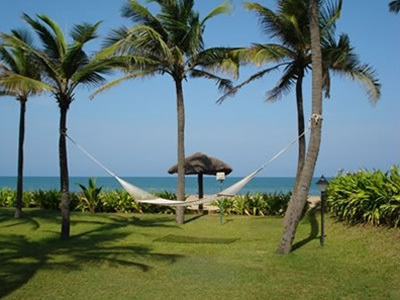 Rest of the day free to relax with a Ayurvedic massage carried out by expert masseurs and visit close by plantations. Ayurvedic medicine ( science of life / health) is the ancient Hindu system of medicine - a naturalistic system depending on diagnosis of the body's 'humours' (wind, mucus, gall and sometime, blood ) House Boat Tourto achieve a balance. In the early form, Gods and demons were associated with cure and ailments, treatment was carried out by using herbs, minerals, formic acid (from and hills) and water, and hence was limited in scope. Ayurveda classified substances and chemical compounds in the theory of panchabhutas or five 'elements'. It also noted the action of food and drugs on the human body. Ayurvedic massage uses aromatic and medicinal oils to tone up the nervous system and has~been practiced in KeraI~ for centuries. Overnight Spice Village. 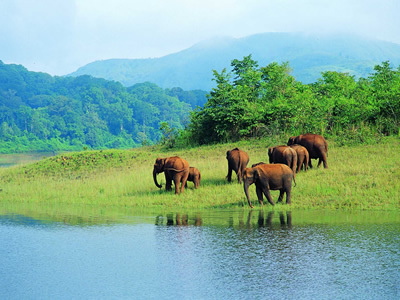 Tour of Periyar wildlife sanctuary by boats / elephants to view a rich variety of wildlife - Tiger, elephants, wild boar, deer and monkeys. Evening jungle theme dinner which requires the group to be dressed in a jungle attire. The call of the wild and the sound of the jungle are complemented by folk dancers and singers. Exotic theme cocktails with bon - fire and bar- be-cue rounds off a magnificent evening. Overnight Spice Village. Drive to Cochin. 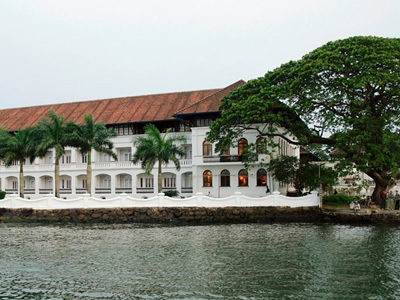 Check into your hotel and gear up for a day's boat journey on the backwaters of Kerala discovering an array of shimmering waterways, composed of lakes, canals, rivers rivulets ,lined with dense tropical greenery and mysteriously preserving the rural Keralan lifestyle completely hidden from the outer world where day to day life is lived on and beside the river. Relish the changing views of narrow canals, green paddy fields, homes, farms, churches, curved bridges and temples amidst the shades formed by coconut trees growing along the river at surprisingly improbable angles. Evening sunset cruise to view Chinese fishing nets and the Bolghatty island. Along the stretch of the beach a bar-be- cue is set up. Dine under starlit sky On succulent lobsters, jumbo prawns and Other local seafood delicacies and round off the evening with an exotic moonlight boat cruise with the band in attendance on board. Overnight Cochin. Departure transfer to connect the flight to international destination. 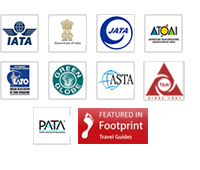 1) Itinerary can commence from either Delhi or Mumbai also. 2) Extension to Pondicherry from Chennai to visit Mothers' Ashram at Aurovi lie. 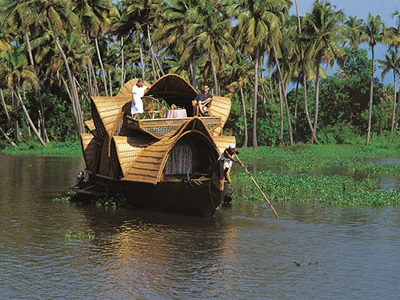 3) Extension from Cochin to Kumarakom to stay at the heritage Coco nut Lagoon situated in the backwaters. 5) Fishermen village theme dinner at Cochin. 6) Boat cruise with band in attendance at Cochin.